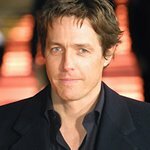 Hugh Grant, Keira Knightley, and Forest Whitaker will be appearing on the two-night special, Idol Gives Back on April 24th and 25th. 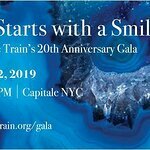 The stars hope to raise awareness and funds for relief programs helping children living in extreme poverty in America and Africa. Other celebrities who plan to appear include the original American Idol, Kelly Clarkson, Helena Bonham Carter, Daniel Radcliffe, Teri Hatcher, and Rowan Atkinson. The show on the 25th will include entertainment by Gwen Stefani, Josh Groban, Pink, Michael Buble, Annie Lennox, Il Divo and Sacha Baron Cohen. Viewers will be encouraged to make donations on toll-free lines and the Internet, with the funds being distributed via the Charity Projects Entertainment Fund to Save the Children, UNICEF, and other organizations dealing with poverty, health and education in the U.S. and Africa. The event is inspired by Red Nose Day, part of the UK’s Comic Relief, which has raised over $800 million in its history of entertainment fundraisers.